The Nikon D5100 successfully bridges the gap between the beginner-friendly approach of the D3100 and the more complex D7000, with the latter's fantastic 16 megapixel sensor being the icing on the proverbial cake. The D5100 does have a few minor handling issues, most notably the positioning of the Live View switch and the secondary controls on the rear, and it could also be seen as being neither simple enough for complete beginners or feature-rich enough for more experienced users. All in all, though, the D5100 delivers excellent still and moving pictures with the minimum of fuss in a lightweight package and is a serious rival to the Canon EOS 600D and the Sony A55. In addition to the excellent image sensor, the free-angle, tilting and folding LCD screen is the real highlight of the D5100, opening up lots of creative possibilities for both stills and video. Full 1080p HD footage is another fantastic feature on what is a relatively cheap DSLR, although full-time auto-focusing in Live View mode is still a painfully slow experience and not well-suited to fast-moving subjects. The new Effects modes can be used to add a creative flair to your images, although the inability to manually control the camera's key settings means that applying the effect during image playback is often the better route to take. Tellingly, our biggest gripe about the D5100 isn't a very serious one, in that the illogical positioning of some of its controls, especially the Live View switch and the separate Movie Record button, probably won't stop the camera's target audience from enjoying it. The lack of a dedicated ISO button will definitely irk some users though, only being accessible via the reprogrammable Fn button, something that the previous D5000 suffered from and which should really have been fixed by now. Ultimately the Nikon D5100 easily overcomes its few real weak points, offering a compelling mix of great image and movie quality, precise and quick auto-focusing, accurate metering and a fantastic LCD screen, all in a format that most users will find intutive and enjoyable to use. 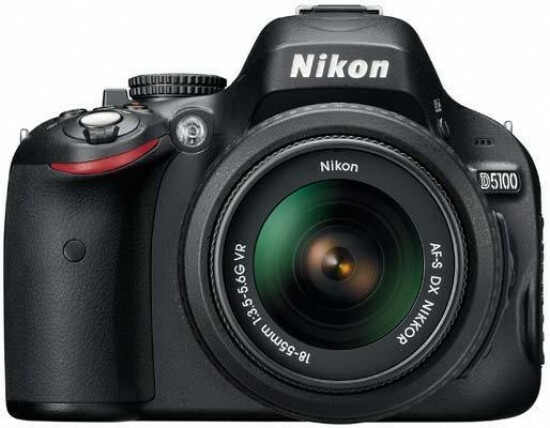 This is precisely what a DSLR that's competitively priced for the mass-market should deliver, and judged on that criteria, the Nikon D5100 is a very worthy winner of our Highly Recommended award.